Chromepet is a part of the Tambaram taluk in Kanchipuram district in southern Chennai. The township is located 16kms from Chennai city. This locality was once home to Chrome Leather Company. The factory was responsible for the rapid residential and commercial development of the locality. And though the company has since been demolished, the name of Chromepet, taken from Chrome and pettai meaning ‘estate’ in Tamil, still prevails. Itlieson the GST Road, close to Tambaramand Pallavaram. It is located 4 km south of the Chennai International Airport. The neighbourhood is connected by the Chromepet railway station.Chromepet is on the Beach – Tambaram – Chengalpattu suburban railway network. The Pallavaram – Perungudi bypass road connects Chromepet with Adambakkam, Medavakkam, Nanganallur, Velacheri, Madipakkam, and Perungudi. Chitlapakkam main road connects Chromepet with Selaiyur and East Tambaram. 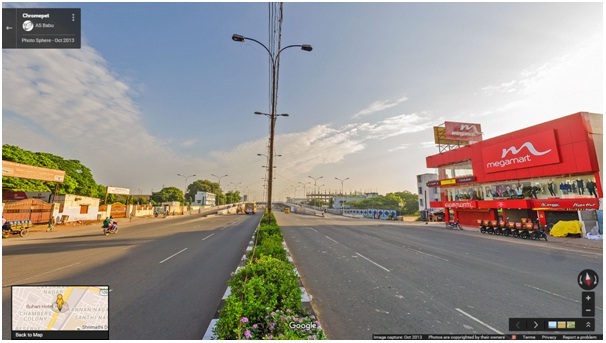 The MIT flyover connects GST Road with Hasthinapuram and Chitlapakkam. The bus stop at Hasthinapuram connects to Tambaram, Guduvanchery, T Nagar, High Court, Chengalpet, Avadi, Pallavaram, Velachery, Vandalur, Pozhichalur, Broadway and other areas. Chromepet is located close to the airport and has good rail and road connectivity. This factor, combined with good infrastructure like schools, colleges and hospitals has turned Chromepet into a desirable residential location. The locality is also well-connected to IT and business parks. Real estate average prices for multi-storey building apartments in Chromepet is 5083 per sqft. The prestigious Madras Institute of Technology is housed here. Chromepet has several educational options. There are over 25 schools and more than 8 colleges offering courses in engineering, medical, nursing and arts in the locality. There are many multi-specialty and general hospitals as well as numerous clinics and pharmacies. Chromepet has quite a few restaurants and hotels. The locality has a busy retail sector with several stores to meet daily household needs like clothes, accessories, electronics etc. Queensland, a theme park, is only 10kms away. The 300-year-old ArulmiguAngalaparameswari Amman temple is here. Pillaiyar temple known as the VembarasuPillaiyar temple or popularly known as "EriKarai" Pillaiyar temple is here. There are over 20 temples here. The Immaculate Conception Church, St Mary’s Church and Chromepet Masjid are other places of worship found here.